This amazing Raw Vegan Spinach and Avocado Dip is ready in about 5 minutes using only a food processor and is so fresh and vibrant! There’s just nothing else like eating live food and the way it makes you feel afterwards. 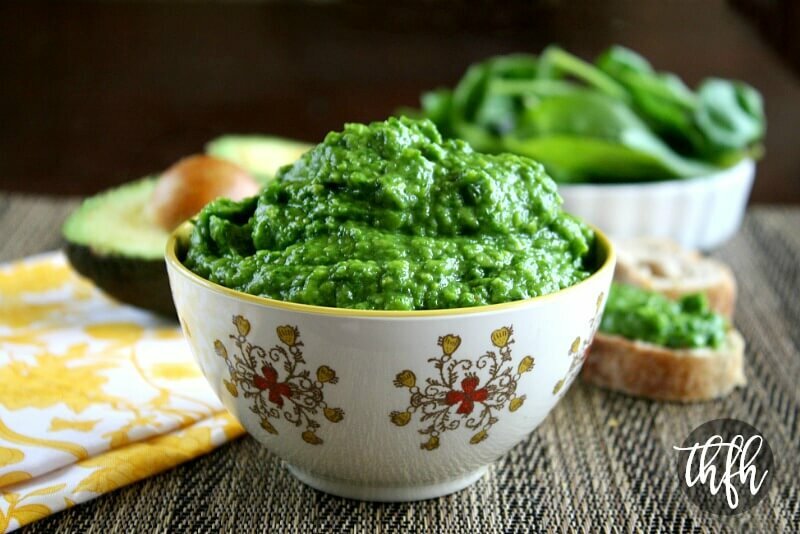 When I finished making this recipe (and ate the entire bowl by myself), I couldn’t believe that I had just eaten 5 cups of spinach! And an entire avocado! It’s an excellent dip for dehydrated crackers, Raw Corn Chips, fresh vegetables or even to eat plain and only requires a few basic ingredients that you probably already have on hand. This healthy recipe is not only quick and easy to make, but also organic, raw, vegan, gluten-free, dairy-free, nut-free, lectin-free, oil-free, no-cook, alkaline and paleo-friendly. Want more healthy dip recipes? Check out Healthy Party Dip Roundup, Tomatillo and Jalapeno Dip, Cilantro and Lime Salsa or my Clean Eating Cookbook with an entire chapter of 20 healthy, clean eating dip and dressing recipes just like this one that you will love! Add all ingredients to a food processor and process until it is well combined and it has a smooth but finely diced texture. Adjust seasonings to your preference (example: add more or less onions, garlic, lemon juice, salt). The recipe and photographs for "Raw Vegan Spinach and Avocado Dip" by Karielyn Tillman of The Healthy Family and Home website are licensed under a Creative Commons Attribution Non-Commercial No Derivatives 4.0 International License and cannot be used without my written permission. Karielyn, this looks fabulous! I’ve been vegan for years and it’s always nice to find new easy and yummy recipes … I bet this would be so good over some zoodles or any other spiralized veggie for that matter! I am absolutely trying it just that way tonight! Hi there Alison! I think you will really like this recipe and it will go perfectly with spiralized veggies (or you could just eat it straight out of the food processor like I usually do!). I haven’t made it in a while but you just reminded me of how good it is and think I will make some today! I made this and it is delicious! Thank you! Hi there Annelie! I’m so glad to hear you liked it! It’s so easy to make and so good for you too! I love the part about selling it too lol! This was sooooo yummy! I’m doing a Sugar Detox and needed a quick snack. I forgot the salt, but loved it the same. Like Mexican Dip Crack! I’ve shared with a Detox Group on FB. Thanks for something so yummy. Hi there Renee! I’m so glad to hear you enjoyed it! And I’m almost embarrassed to admit this, but I have actually eaten the entire batch before by myself…yes I did! Renee, oh my gosh…that is so funny! I’m still laughing! I’m new to avocados and wondering how long this will last. H there Gem! I so glad to hear you enjoyed it! Unfortunately, as many times as I’ve made this, I’ve never had any leftover to know how long it will store lol! Normally avocados don’t stay fresh very long after you’ve cut them, but since this has some lemon juice in it, they may last a day or so. Love the sound of this. just wondering exactly how many ounces 5 cups of spinach is? Hi Vicky! 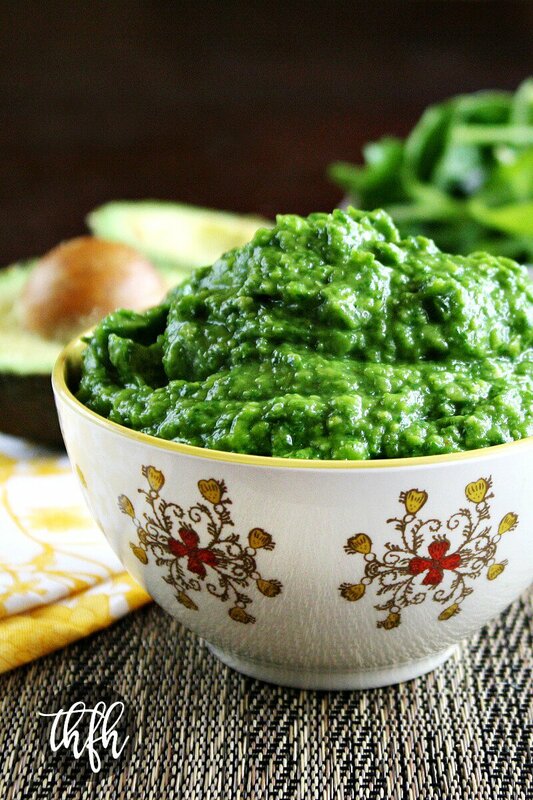 I’m really bad at doing conversions, but I looked it up for you and it looks like (1) cup of spinach equals 2.67 ounces, so you would need (5) cups or approximately 13.35 ounces to make this recipe. I don’t really pack it in the cup to measure, but put it in loosely if that helps too. I’d been searching for a good replacement for guacamole and salsa as I am nightshade free. 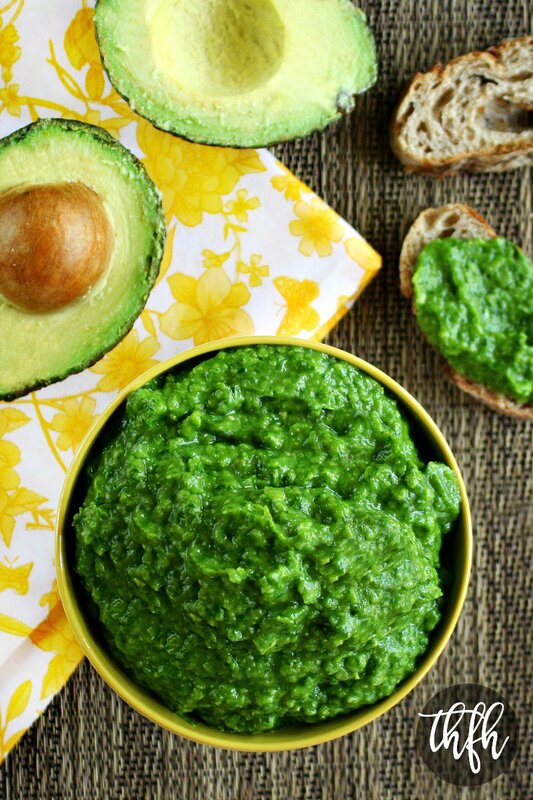 This looks SO simple and delish (as I am a HUGE fan of both avocados and spinach), and I can use it with so many versatile recipes as a dip/sauce/spread. Thanks for posting! I’m always on the lookout for new exciting ways to enjoy avocado and this dip looks and sounds so delicious. I love how you included all those health facts. Thank you for sharing this easy recipe, I look forward to trying it.